On May 21, 2016, the Kasanag Daughters Foundation, Inc. (KDFI), one of the social projects of the Priests of the Sacred Heart – Philippine Region in Cagayan de Oro City, celebrated its 17th Founding Anniversary. The celebration started with the Holy Eucharist and was followed by the arts exhibit prepared by the beneficiaries of the program, short cultural presentation and common supper. The institution, providing shelter and rehabilitation opportunities to the victims of sexual abuse, was established in 1999 by Fr. Eduardo Aguero, SCJ. On May 17, 2016, the SCJ Philippine Region will celebrate the 27th Anniversary of SCJ presence in the Philippines. The video below, originally intended for the 25th Anniversary, summarizes main activities of the Philippine Mission since the arrival of first SCJ missionaries up to the present. On February 21, 2016, Our Lady of Peace and Good Voyage Parish in Margosatubig, Zamboanga del Sur, celebrated its “diamond” foundation anniversary. Since the beginning, the parish was served by the Filipino Jesuits. 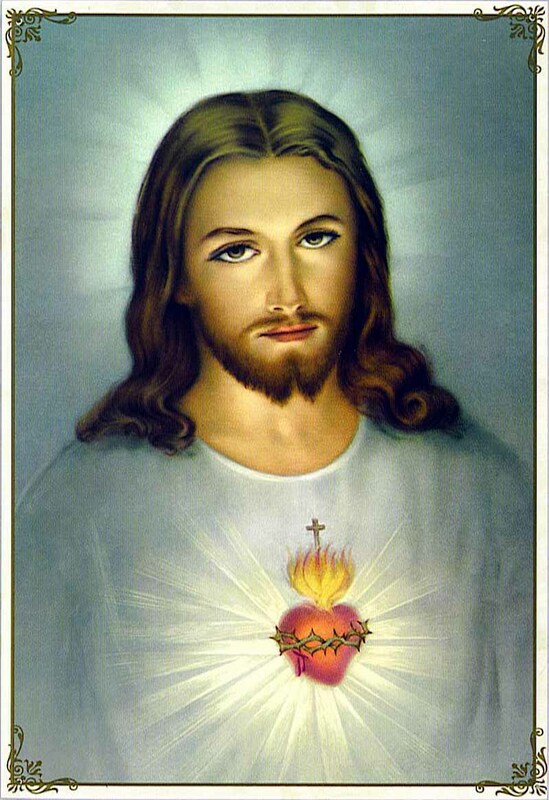 In April 1982, the parish was inherited by the Columban Fathers, and in the end of November 1989 by the Priests of the Sacred Heart of Jesus (SCJ). In the beginning of the SCJ presence, the parish belonged to the Prelature of Ipil and later on was transferred to the Diocese of Pagadian. Since April 2003, up to now, the parish is being served by the diocesan clergy of Pagadian Diocese. Among the SCJs who served in the parish were: Frs. Hans Sondermeijer, Francis Pupkowski, Eduardo Aguero, Jerry Sheehy, Giuseppe Pierantoni, Indra Pamungkas, Rino Venturin, Benedito Machado, Grzegorz Skowron, Robertus Sutopo, Janusz Burzawa and Bros. Wieslaw Bysiek and Yohanes Sismadi. There are two SCJs coming from this parish: Fr. John Karl Cabaluna and Fr. Donald Longno. The SCJ Philippine Region thanks all the Parishioners for their love and support and wishes all the best for the future. + Bp. Federico O. Escaler, S.J., D.D. 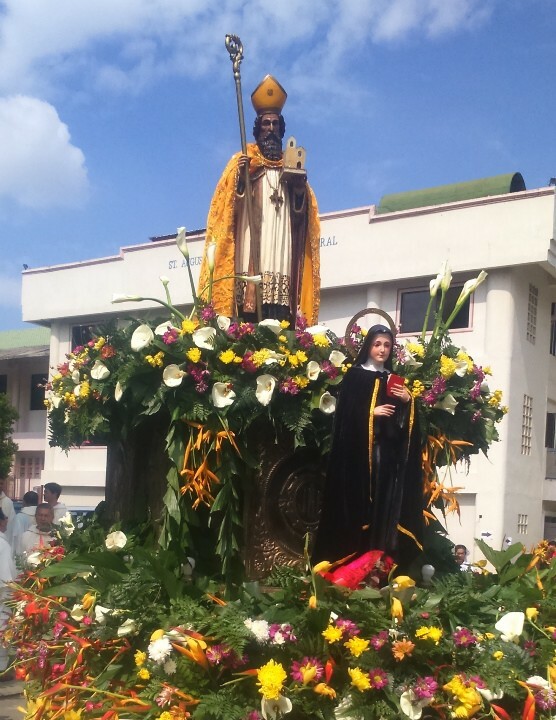 Yesterday, on November 28, 2015, the former and the first Bishop of Prelature of Ipil, Most Rev. Federico O. Escaler, S.J., D.D., at the age of 93, has joined the Lord. Bp. Escaler was one of the two bishops who in 1989 accepted members of the first group of SCJs into his Prelature, entrusting them two parishes: Margosatubig (now Diocese of Pagadian) and Kumalarang (Diocese of Ipil). All members of the SCJ Philippine Region express their gratitude for Bp. Freddy’s fatherly care and love and join the prayers in his intention. May he rest in Peace! The Most Reverend Federico Ocampo Escaler was born on 28 June 1922 in Manila. On his birthday in 1941, after finishing a degree in Ateneo de Manila, where he also studied his primary and secondary education, Freddy, as he had been called in the Society of Jesus, entered the Jesuits at Sacred Heart Novitiate, Novaliches. However, Freddy and his fellow novices moved to Ateneo de Manila at Padre Faura during the outbreak of WWII. They began Juniorate there on 1 June 1943 but eventually moved to La Ignaciana in Sta. Ana, and then, finally back to Novaliches. From 1945-1948, he studied and finished his M.A. in Philosophy at St. Robert Bellarmine College which was first located in La Ignaciana, and then in Novaliches. He was a regent from 1948-1951 at San Jose Seminary in La Ignaciana where he taught English, Latin, Tagalog, Spanish, Sociology, Philippine Government, and Geometry. He was also the Prefect of Discipline to the major seminarians and moderator of the Sodality, the choir, and INSTA. He studied and finished S.T.B. and S.T.L. at Woodstock College, Maryland, U.S.A. from 1951-1955. He was ordained deacon at Fordham, New York, U.S.A on 18 June 1954 by Bishop Thomas J. Feeney, S.J., D.D. and priest the following day by Francis Cardinal Spellman. From 1954-55, he did some special studies in Guidance and Counseling at Boston College and Fordham University, respectively. After Fr. Freddy’s tertianship at Palacio del Santo Duque, Gandia, Valencia, Spain in 1956, his first assignment as a priest in the Philippines was Minister at San Jose Seminary in Highway 54. A year after, he was assigned Archivist of the Vice Province and Socius to Vice Provincial Francis Clark. In 1961, he became Superior and Minister of La Ignaciana Retreat House in Sta. Ana. While serving those competencies, he also gave retreats around the country. In 1962, Fr. Freddy was Rector and President, while teaching Theology, at Ateneo de Davao. In 1966, he was back to Xavier House as Province Treasurer. While in Manila, he was also Chaplain of the Christian Family Movement. In 1973, he was assigned to Ateneo de Cagayan (X.U.) as Rector and President, while teaching Theology. Three years after, he was named as the first Bishop of then to be established Prelature of Kidapawan in North Cotabato. In 1976, he was ordained bishop on the feast of St. Ignatius of Loyola by Jaime Cardinal Sin at Manila Cathedral. From 1976-1980, he was in Kidapawan until his assignment to pioneer the newly created Prelature of Ipil in Zamboanga Sibugay, where he dedicated himself for 17 years until his retirement on his birthday in 1997. Those indeed were tough years, including his first episcopal assignment. “Ipil and Kidapawan were hotbeds of conflict during the time,” as writer Christian Dy describes. Indeed, in 1985, Bishop Freddy was kidnapped and in 1995, another group of armed militants torched Ipil and left at least 53 dead. Back in Manila, he continued pastoral work as Spiritual Director of Buklod ng Pag-ibig, Chaplain of A.I.M. and the Cenacle Prayer Group. Towards the end of 2015, a mass was discovered in his liver for which he declined further intervention. He died on 28 November 2015 in his family ancestral residence in San Miguel, Manila. St. Augustine was born at Tagaste November 13, 354 at Tagaste, Numidia, North Africa (Souk-Ahras, Algeria) as Aurelisu Augustinus. His father was a pagan who converted on his death bed; his mother was Saint Monica, a devout Christian. He received a Christian upbringing and in 370 went to the University at Carthage to study rhetoric with a view to becoming a lawyer. He gave up law to devote himself to literary pursuits and gradually abandoned his Christian faith, taking a mistress with whom he lived fifteen years and who bore him a son, Adeodatus, in 372. After investigating and experimenting with several philosophies, he became a Manichaean for several years; it taught of a great struggle between good and evil, and featured a lax moral code. A summation of his thinking at the time comes from his Confessions: “God, give me chastity and continence – but not just now.” In 384, he accepted the chair of rhetoric at Milan, and of his tutor, Simplicianus, he returned to his Christian faith and was baptized on Easter Eve 387. On the death of his mother he returned to Africa, sold his property, gave the proceeds to the poor, and founded a sort of monastery at Tagaste. He was ordained in 390 and moved to Hippo where he established a community with several of his friends who had followed him. Five years later he was consecrated Bishop and made coadjutor to Valerius, Bishop of Hippo, whom he succeeded in the following year. Augustine became the dominant figure in African Church affairs and was the leader in the bitter fights against Manichaeism, Donatism, Pelagianism and other heresies. Augustine’s towering intellect molded the thought of Western Christianity to such an extent that his years after his death. He wrote profusely, expositing and defending the faith, and to this day many of his two hundred treatises, some three hundred sermons are of major import in theology and philosophy. Among his best best-known works are his Confessions; City of God, a magnificent exposition of a Christian philosophy of history; De Trinitate; De Doctrina Christiana; Enchiridion; and his treatises against the Manichaeans and the Pelagians. His later thinking can be summed up in a line from his writings: “Our hearts were made for You, O Lord, and they are restless until they rest in you.” Called Doctor of Grace, he is one of the greatest of the Fathers and Doctors of the Church, and with the possible exception of Thomas Aquinas, the greatest single intellect the Catholic Church has ever produced. 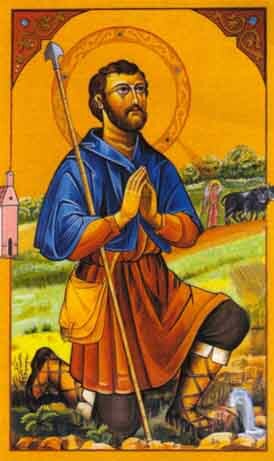 St. Isidore has become the patron of farmers and rural communities. In particular he is the patron of Madrid, Spain, and of the United States National Rural Life Conference. When he was barely old enough to wield a hoe, Isidore entered the service of John de Vergas, a wealthy landowner from Madrid, and worked faithfully on his estate outside the city for the rest of his life. He married a young woman as simple and upright as himself who also became a saint—Maria de la Cabeza. They had one son, who died as a child. Isidore had deep religious instincts. He rose early in the morning to go to church and spent many a holiday devoutly visiting the churches of Madrid and surrounding areas. All day long, as he walked behind the plow, he communed with God. His devotion, one might say, became a problem, for his fellow workers sometimes complained that he often showed up late because of lingering in church too long. He was known for his love of the poor, and there are accounts of Isidore’s supplying them miraculously with food. He had a great concern for the proper treatment of animals. On December 16, 2013, was the second anniversary of typhoon Sendong (international code name Washi). The dawn of December 17, 2011 marks the unforgettable tragedy in Cagayan de Oro City. Typhoon and strong flash flood cussed terrible disaster in the city. Hundreds were swelled by the river or died in the flood in their own houses caught by surprised during the darkness of night. Many houses, chapels, cars and electrical posts were completely destroyed and taken by the flood to the sea. Thousands of people became homeless and were affected because of hunger lowliness and worries. Most of the families in the city lost at least one member in this tragedy. It was a terrible tragedy. We know today that more than 1,200 people perished in the flood. Damage to property, infrastructure and agriculture was estimated at almost PHP 1 Billion. Almost 9,000 families were left homeless. Yesterday night there were celebrations throughout the city to commemorate this tragedy and to remember those who died. Also in the Village of the Mother of Divine Mercy, home of 320 families, survivors of Sendong, there was a simple but meaningful gathering and prayer. After a mass, during which all members of the village were present, we sent 12 lanterns to the skies. It was very symbolic guest to remember more than 12 hundreds those who died. In silence we sent and watched the lights that flew straight up to the skies like our prayer to heaven. I this meaningful celebration took part the newly elected president of the Village, president of the chapel and many guests from the city. At this moment there are 320 families living in the houses (30 m square each) in the village. There is a deep well and the families have easy access to the water, but the water is not provided to every house. They have to fetch the water outside situated in a few places in the village. There is installed electricity and drainage system in the entire area of the village. Yet there is no electricity in every house but it will be provided within a few weeks. In the center of the village there is a large cask, covered area, which is used for different activities and meetings. Every Sunday there is a mass celebrated there. The future plan for the Village includes 280 additional houses. It would enlarge the Village to become a home for 600 families. It is the original plan. Beside the houses there is a plan to build a chapel, kindergarten, sport playground and a market. All of these will depend on the generosity of our sponsors and benefactors. We are very happy with the development of the project of the Mother of Divine Mercy Village and it’s fast growth. Thank you for all that in anyway helped and supported this important project. God bless you.